I will openly admit that I haven’t played a Battlefield title since 1942. Alright perhaps it was 2002 for most people but on the battlefield it was 1942 and co-op was alive and well on my PC. After an over saturation of WWII games hit the market I was done with the genre and done with the very fact that WWII FPS’s had become a genre at all. So when the new video for Battlefield 3 (Let’s Get Physical) came across my desk the initial reaction to recreate Olivia Newton John’s musical stylings quickly faded and I started to rethink the franchise I had dismissed 9 years ago. Don’t believe me? Have a look for yourself. What you will find is a trailer with super refined graphics, really engaging weapon specs, and a slick presentation. One can only hope that the actual gameplay is as intriguing as this trailer (something tells me it will be). And hey, you never know, you just might find me on the battlefield once again making a formidable attempt to shoot something other than myself in the foot. 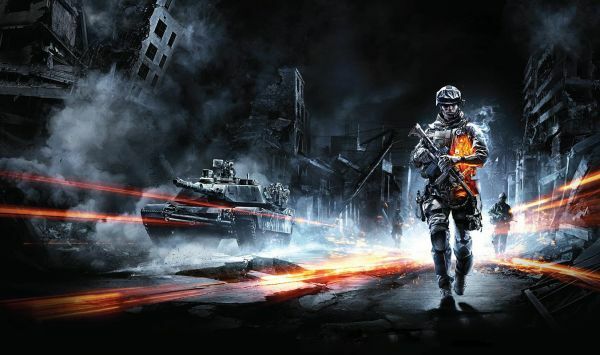 Battlefield 3 is set to release October 25. 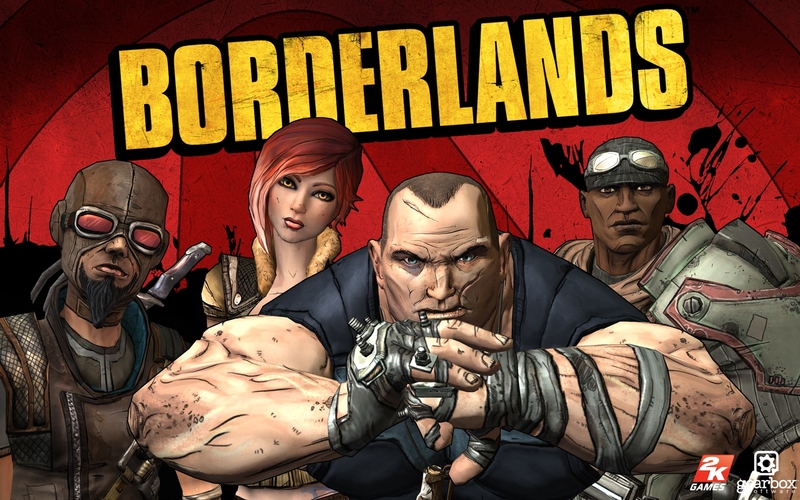 How many game types can you hybrid together seamlessly to create a satisfying PC experience? The folks at Mystic Box have been working hard to bring you the answer in Runespell: Overture. Runespell: Overture is a puzzle(ish) roleplaying game combining Poker/Yahtzee mechanics with Power ups and Collectable cards. Runespell: Overture takes you to an alternate medieval Europe. Creatively linking historical characters with Norse mythology the player takes on the role of ‘The Changeling’, the son of a monster god, in search of his nemesis. While the story and the art can be quite compelling at times, the dialogue seems odd at times during the cut scenes and battle intermissions. Easy to use controls help the combination of solitaire, yhatzee, and poker in the combat system run smoothly. While this ultra-hybrid title may not be for everyone the puzzle, rpg, and card playing combination is married nicely enough to warrant a gander. There is a lot going on here but it never seems overwhelming. Your linear narrative experience will have moving through the story to encounter key plot points revealed sometimes in dramatic cut scenes. The cut scenes are a series of stills and text as opposed to animated sequences. Our story is just interesting enough to propel you forward and many characters are met along the journey that are equally as interesting. 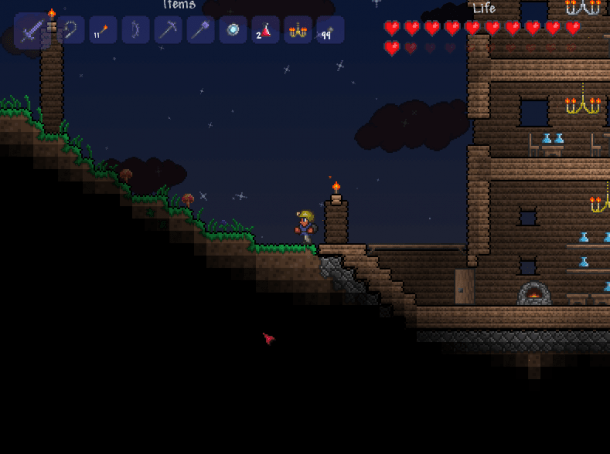 During the course of your game you will meet characters, friends and foes who have something unique to offer. Allies who travel with you will be included in your combat defense and offence and can be used just like specially earned ability cards. Ability cards will help you in battle when the poker hand dealt to you just isn’t enough. In each battle you will have 3 turns per round. During your turn you can sometimes use your abilities cards and travelling allies or you can use your three turns to create the best poker hand by stacking your cards (including the ability to steal your opponent’s cards) or simply use attacks you may have been collecting. Each player’s shield and health points are displayed beneath the character so you always know how much more damage is required to take down a foe. The enemy progression does not feel, well, progressive and sometimes the jump from an easy enemy to a difficult one can come suddenly. The controls are simple, point and click. As a laptop user I found it much more useful to get out and use the mouse than the touchpad so if you are packing Runespell: Overture as a game to travel with, keep that in mind. Your click will be your ultimate device driving you from place to place on the map, interacting with the various quest giving characters, and helping you compile the very best poker hand for use in your combat battles. Being an artist myself I always enjoy a good peek into the graphical development of a game. In Runespell: Overture the artwork is very well rendered. Characters,graphic elements, and environments were given the greatest of care. Here you can see some of the concept art. I’m not sure if the concept are was so good it went to final or if our peek at the ‘concept’ art doesn’t include the thumbnails, sketches, and doodles every aspiring concept artist likes to see but regardless Mystic Box has done a great job with these renderings. Sound – 7/10 –appropriate sound effects and ‘epic’ style music. The music and sound effects are well developed but be warned, loud. I lowered the computer’s levels and still found it to be a tad loud. While everything is appropriately fitting to the theme, environments, and overall schematic of the game I mainly played the game sans the music and enjoyed the sounds of the stacking cards, the achievement like sounds for creating an attack hand or using an ability card. Runespell: Overture (RSO) is a Hybrid between RPG, Collectable Cards and Poker gameplay. By combining casual and core mechanics, RSO allows for short bursts of active play or long sessions of questing and battles. With a well-established and polished art style, epic music and sounds, and easy navigate quest and battle elements RSO is a fomidible addition to the genre of… well… a hybrid genre all of its own. In mainland Europe the price will be set to €8.99. In the United Kingdom players will pay £7.99. “We hope these prices reflect the differences per currency best”, one of the producers of Mystic Box, Barry Hoffman, states. Next to this Mystic Box will offer a further 10% discount during the first week after release. Still not sure? There will be a public demo available via Steam upon release of the game to allow potential players the chance to test the game before buying it. It’s time to start yelling at your friends! We all do it, some better than others, some with laugher, others with rage but all with excited dedication and ferocity. I am of course talking about online gaming. Playing online multiplayer games has become such a huge phenomenon over the past 20 years that, well, it is no longer a phenomenon. And if you’ve ever found yourself in a situation where another player in your game was trying to chat with you, and all while you are exerting your best efforts to frag the n00b or lead the raid by way of keyboard, acronyms, and text interfaces, then you aren’t doing it right. Mumble Server Host believes that communication is key to serious gameplay. After all, your games have evolved, your rig has evolved, so why hasn’t your voice chat client? “I think communicating via VOIP while playing computer games can help the mental status of many gamers. If you are sitting in a room alone for hours and never speak to another soul….well that can really destroy your social skills over time.” Says MumbleServerHost founder Tim Ross. And with that a new option emerged. Mumble is similar to popular VOIP programs such as Ventrilo and TeamSpeak but with lower latency and innovative features such as live overlay and positional sound. And they continue to strive for more. Knowing what the gaming community wants MSH recently released a website widget that allows customers to display that current status view of their Mumble server on their website. You can see an example of this widget in action. MSH is also working on an Android app to allow its Mumble server admins to view and manage their servers via their Android based phones and tablets. You’ll also find MSH supports the gaming community by way or regular contributions to Child’s Play Charity , a game industry charity dedicated to improving the lives of children with toys and games through over 60 hospitals worldwide. Bred out of the gaming world itself, BY gamers and FOR gamers, Mumble Server Host is our newest GamerFitNation Spotlight. Keeping gamers connected, interactive, and engaged both mentally and verbally with one another, we say Thank You to Mumble Server Host for taking the time to talk to us about their gamer created service. • FREE 7 Day trial. Cancel anytime during your 7 day trial and be charged nothing. • You server will be located at a custom domain name. • Web based Mumble Server Control Panel. Set and change your server passwords. Kick users and manage your user bans. View who is currently on your Mumble Server. • Voice quality at 128 kbps for extreme clarity. Mumble uses the high quality CELT codec for crystal clear voice clarity. Mumble’s extreme clarity blows away similar progams such as Ventrilo and Teamspeak. Place your Mumble Server on your Guild Web site or Forum..
• $ 0.25 a month per user. • Instant Setup After Payment! Start gaming together in minutes. Server located on Tier 1 Networks. Game together as often as you like. See who is talking while in game. • Online server control panel. Manage your Mumble server from the site. As we started into the Electronic Arts E3 Press Conference today there were a few things many of us were anxious to learn about. The anticipation, for me, centered around Battlefield Bad Company 3, Mass Effect 3, and SSX. As the conference began we soon discovered so much more in the works from EA. EA then went on to discuss that should expect new games and new services over the next year. Origin.com was announced as the new service for viewing and downloading exclusive EA content. NFS The Run was presented by Jason DeLong. Like previous Need for Speed titles, The Run centers on a race across the country, From San Francisco to NYC. This year the Autolog feature is weaved into the story so that every second of every race counts towards your development. Unlike previous NFS titles a new component of the game takes you out of the car and put you on foot. NFS The Run will include foot chase gameplay. EA then presented a NFS Demo. The foot chase portions of the game, while they looked awesome, are still a large enough departure from NFS that it seemed less cohesive. Star Wars Old Republic was discussed briefly by Greg of Bioware. No news for this title was released but EA did show a trailer. This trailer appeared to be included out of obligation and not because there was anything new to offer. Head on over to GamerFitNation.com to see the rest of my summary and more great trailers. Agent 47 is back, and this time it’s personal! 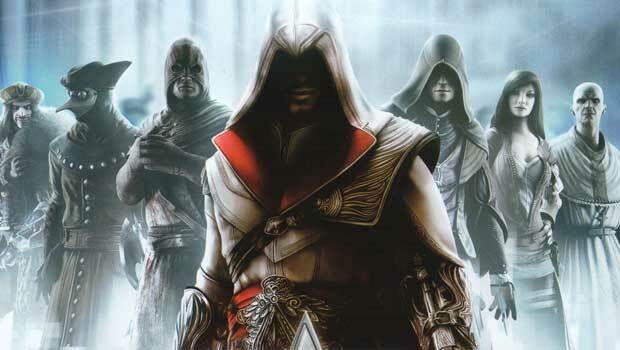 Take one part assassin, mix with one part Glacier 2 Game Engine, and what do you get? The result is the long anticipated 5th installment of the popular stealth franchiseHitman Absolution. Developed by IO Interactive A/S, a division of Square Enix Europe, Hitman Absolutionhas recently been announced for release on the Xbox 360, PlayStation3, and Windows PC in 2012. You might be asking what makes this new Hitman title so exciting? Well my friends you are in for a treat! Showcasing IO Interactive’s new proprietary Glacier 2™ technology, the game has been built from the ground up. Boasting a cinematic story, distinctive art direction and highly original game design, Hitman Absolutioncombines much-loved……..
Head over to GamerFitNation to read the rest and see the teeny tiny teaser. 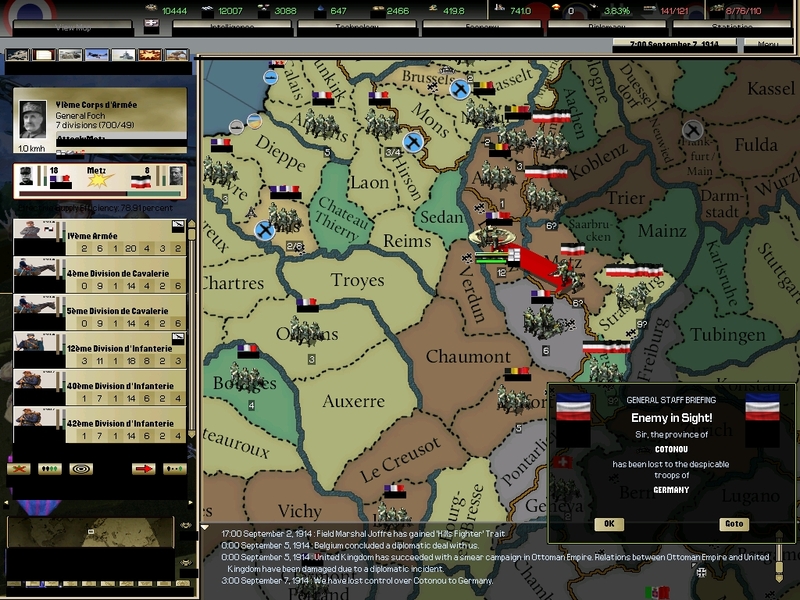 Real-Time Grand-Strategy: a game genre that’s as complicated to say as it is to undertake but in the best possible way! Paradox Interactive, a former division of Paradox Entertainment, are hitting 2011 hard with a HUGE list of releases. Among others you can expect to see Sword of the Stars II: The Lords of Winter, Pride of Nations, Salem, King Arthur II, and this newly released title Darkest Hour. And when they say “in-depth” they aren’t kidding. Granted, it has been many moons since I fully immersed myself in any type of real-time strategy game, let alone a GRAND strategy wargame like the one here, however all of the time eating action and addictive concepts are seeping their way back into my gaming limelight. There is a steep learning curve, for me, being satisfied here and therefore the review of this April release may be a while still to come. For reconnecting me with an otherwise neglected love of the RTS genre, Darkest Hour is On The Road to Review. Be on the look out for my full review in the, very vague but not to distant, future. In the meantime check out the trailer OR, even better, pick up a copy for your self available via Gamersgate, Amazon, or Steam. New Battlefield 3 ‘My Life’ Trailer and 12 minutes of Gameplay! On Friday EA and DICE released their new Trailer ‘My Life’ for upcoming title Battlefield 3. The trailer features gameplay footage and gives us a quick peek into some of the action on the ground and in the skies. 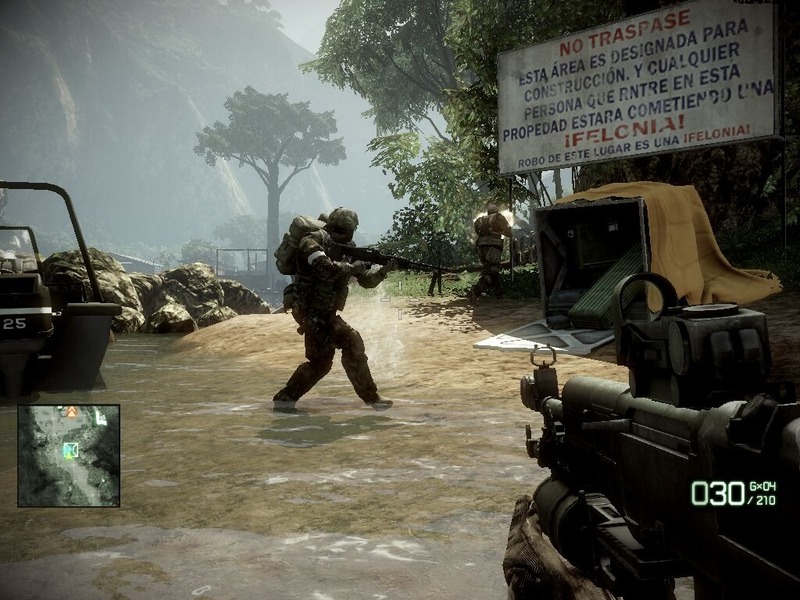 Battlefield 3 It is to be released on November 2, 2011 for PC, PS3, and 360 and has been hyped because of the introduction of Frostbite™ 2, the next instalment of DICE’s cutting-edge game engine. Battlefield has always had a strong multiplayer experience but adding to the single player mode (that I always prefer) this time a new animation system will allow players to “drag fallen comrades into safety and mount weapons on almost any part of the terrain”. Update: You can also head on over to Battlefield.com to watch the 12 minute ‘Faultline’ trailer which gives you a more extensive look at gameplay or check it out below! So tell me, will you be making the switch from your current FPS in November?